Tuna Pase is a music lover, whose musical journey began when she heard the timbre of the flute in the orchestra pit for the first time. Her areas of interest are electro-acoustic composition, improvisation, sound design, sound art, song writing and ethnomusicology. She plays electronics, flute, percussive objects and sings. Her music is inspired from sleeping, dreams, nature, poetry, photography, street art and bicycles. She performs her music and collaborates with others in an improvised manner, where she re-composes live, using the elements that build her music from scratch. She has earned her BA in musicology and MA in ethnomusicology and continued her PhD in Sound Engineering and Design program at Istanbul Technical University Center for Advanced Studies in Music. She teaches world music, popular music, music history, electronic music, audio culture and improvisation in various universities in Istanbul such as Bilgi, Marmara and Yeditepe. She also loves inspiring children through workshops on music. She performs in concerts and festivals, and participates in projects and workshops in Europe (France, Germany, Austria, Italy, Switzerland, Spain), the United States, and Middle East (Turkey, Israel). Some of them are; Ensemble Modern Academy at Austria and Italy; Feldstarke at Paris and Essen; High Zero Festival at Baltimore; Share, This is Pop Experimental Music Series and NYC Resistor at New York; Young Turkish Electronic Music Composers Project in Frankfurt; Istanbul Festival at Reitberg Museum in Zurich; Musrara Mix and Light Festival in Jerusalem; Geist und Geld Foundation at Stuttgart and Museum Night at Ravensburg. Her debut album is entitled “Discotheque Sounds From The Cemetery” which includes electro-acoustic compositions between 2006-2010. She also has live improvised albums with her band partners Barkın Engin “Hazy Stars”, Illi Adato “Oscillation 00-12-00”, Sarp Keskiner “Rain Harvest” and Eduard Altaba, Lieutenant Caramel “Pase, Altaba, LT Caramel in Gracia”. She released her “electro-acoustic pop” singer-songwriter albums “Under the Tree” and “Night Music” independently on 2015 and 2016. 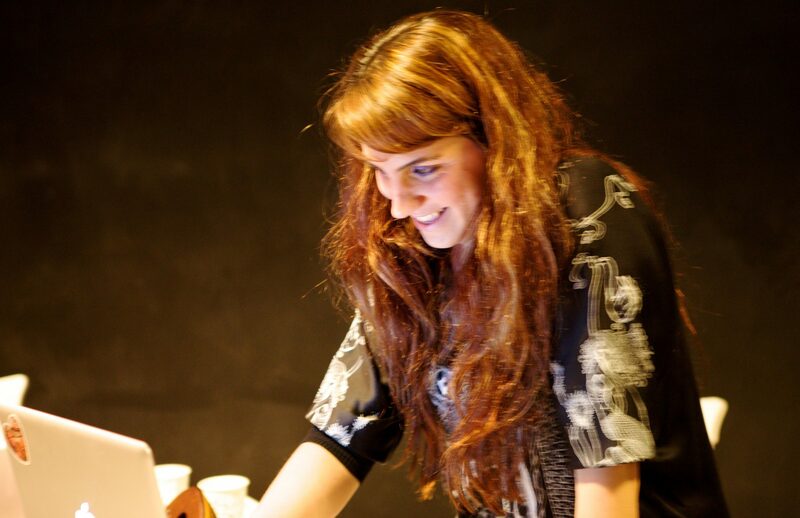 She also worked as a producer at Şevket Akıncı, Celal Kadri Kınoğlu project album “Nehirdeki Melek”. She also appeared on “The Antology of Turkish Experimental Music” with her piece Nefes which published by Subrosa. Her projects with partners are; a live soundtrack project with Şevket Akıncı “Sputnik Sweetheart” and a female singer-songwriter project “Maim Marim” with Israeli singer Yafit Reuvney. She collaborates with visual artist Laurenz Theinert at “Visual Piano” project. She also performs as a DJ in Turkey and in other countries. Tuna Pase has improvised in Turkey with; Illi Adato, Sumru Ağıryürüyen, Şevket Akıncı, Duygu Demir, Efe Demiral, Burçin Elmas, Alessandra Eramo, Korhan Erel, Pınar Erdoğdu, Barkın Engin, Keiko Eunishi, Cihan Gülbudak, Selen Gülün, Barış Güvenenler, Allessandro Olla, Erçin Kaya, Özlem Kaya, Jun Kawasaki, Nora Krahl, Sarp Keskiner, Katja Kettler, Florent Merlet, Cihan Mürtezaoğlu, Yannis Sanoxis, Christian Thome, Saadet Türkoz, Mondual (Tugrul Soylu & Sinan Kestelli), Cotton AV (Bora Çeliker, Volkan Ergen, Can Tatlıparmak), and Istanbul Share Collective (Can Kazaz, Can Dedeoglu, Ahmet Kemal Kuyrukcu, Mustafa Ozkan). Also collaborated with visual artists such as Laurenz Theinert, Alejandra Huerta, Eda Gecikmez, Sedat Türkantoz, Serdar Kökçeoğlu, Atıl Altaş, Cotton AV (Ozan Akıncı, Kaya Hacaloğlu) and dancers Gonca Gumusayak, Mamen Aguera.